Merry August to you, fellow sweaty Bristolians. I come bearing news of events and assorted food shenanigans to whet your appetite for the coming weeks. It’s another busy month for openings in Bristol, and where July seemed to be the month of meat ventures, August seems to be a bit more varied in what it’s dishing up. First up, the mysterious Historical Dining Rooms open in Totterdown on Friday 29th August, offering a ‘multi-sensory dining experience…to rediscover our culinary history’ – sounds intriguing! Keep an eye to their Twitter page for more updates. Assemble your own Beerd pop up. 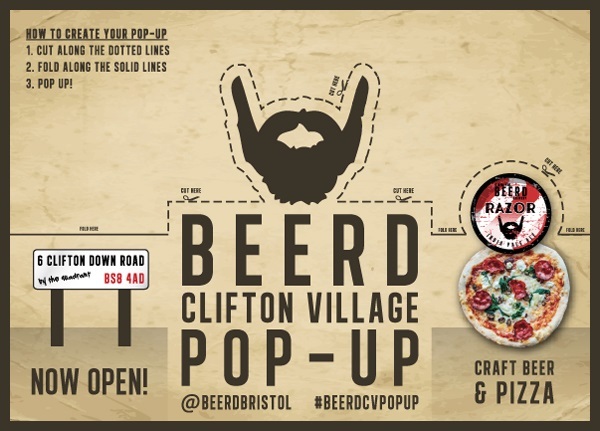 Happy times for the folk of Clifton Village, as Beerd have announced a pop up on Clifton Down Road starting from Friday 25th July – the bar will be serving their fine craft beers and pizzas from 4-11pm Mon-Fri, and 12-11pm on Sat & Sun. Find them stashed just by WH Smith for the moment, and remember to get some money out beforehand as the bar is cash only! If you’re in need of a pizza fix but unwilling to venture up the hill to Clifton, you can check out Zero Zero on High St in Easton, these guys are bringing more great food to the little junction by Stapleton Road station and are within hopping distance of another food hotspot, No.12 Easton. Between these two places and the treasures to be found on St Marks Road, there’s never been a better time to pay Easton a visit if you’ve not done so already! Coming to the former site of Guerilla Burger on Baldwin St in the centre is yakitori and ramen bar Sticks & Broth, opening in early August. This street is fast becoming quite the spot for Japanese food, from the glamourous Masa, to my personal favourite for sushi & cheesy karaoke, Obento. Nearby on Colston Street, Rosemarino are opening their second restaurant, bringing some of Bristol’s best Italian food (and famously good brunch) to the centre. You’ll find the restaurant open from the end of July. 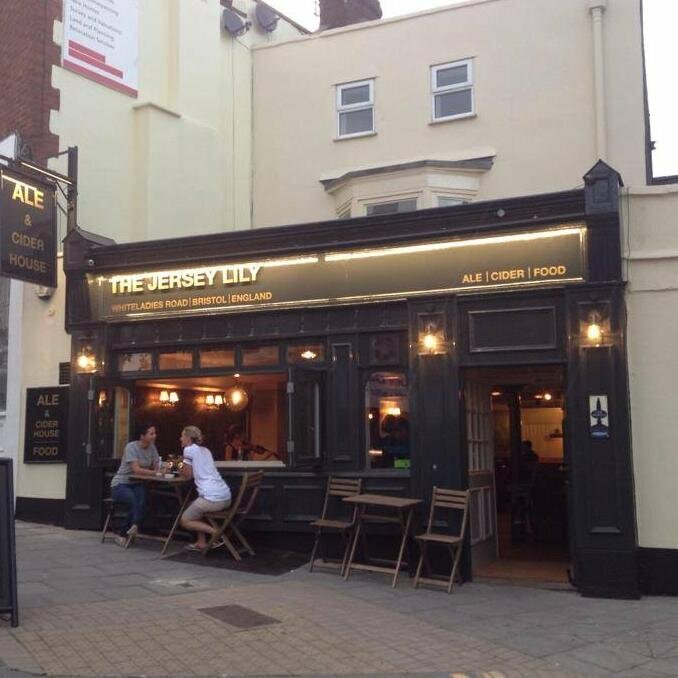 The new look Jersey Lily – a top notch cider and ale pub on Whiteladies Rd. Heading to the more northerly parts of Bristol, Whiteladies Road has seen the recent reopening of Jersey Lily under the management of Wickwar Brewery, so expect a traditional pub with plenty of great real ales and cider on offer. You’ll also be able to find Brewhouse and Kitchen nearby soon, see their website for more updates about their location and opening date; for now they’re maintaining an air of mystery! 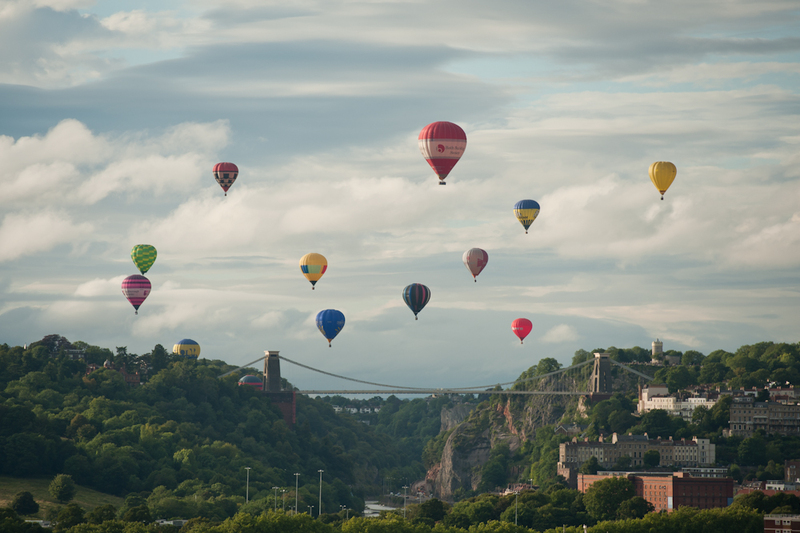 Apparently the hot weather is going to continue in Bristol for a while yet, so you’d do well to get your finest summer togs on and head over to Aviator on Chandos Road for their cider and sausage festival from Friday 15th – Sunday 17th August. If you’re feeling in the mood for a midweek treat, the famous steak nights return to Yurt Lush every Wednesday from 6th August, using some of the best local organic meat from The Story, plus it’s a bargain too at £12.50 for steak, all the trimmings and a glass of wine or beer! 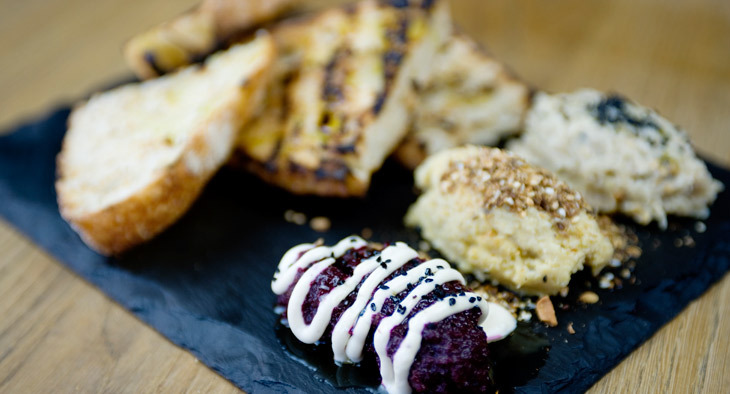 Treat yourself to some superior tapas from Office. Every Sat in August is party time at Office Bar + Canteen in Totterdown – you can pop along for food from 5-9pm and treat yourself to some of the finest tapas in town, then nurse a few cocktails and dance along to DJs from 10pm-1am. Sunday 24th August sees the return of St Michael’s annual street party, Party on the Hill. Head along for lots of live music and excellent beer, with all proceeds going to the children’s hospital. If you happen to find yourself in Bath, or in the mood for a day (well, evening) trip, your best bet would be to check out Culture & Cure for their cocktail masterclass on Thursday 7th August, which is being run with Independent Spirit, Bath’s premium purveyor of boozey delights. You’ll get the chance to make several cocktails, whilst learning about ingredients and history of each cocktail. Lovely stuff. 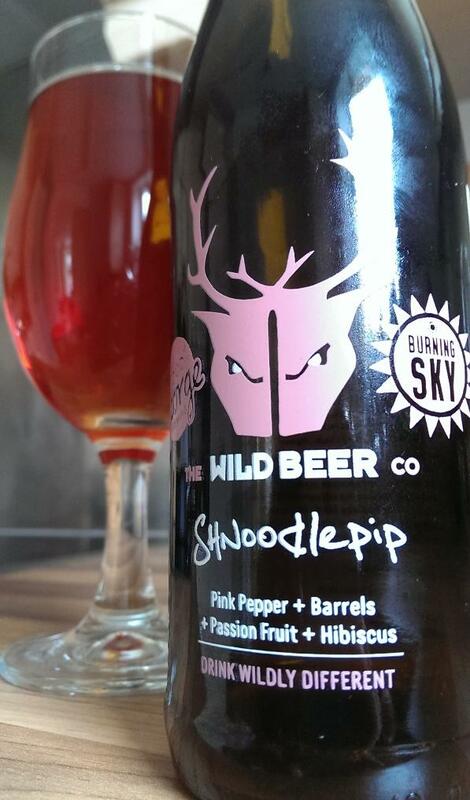 The latest batch of Schnoodlepip will be available at Small Bar’s event with Wild Beer – tastylicious. Small Bar are continuing their popular Sunday Service series of events, with the next one showcasing the best of Wild Beer’s weird and wonderful range on Sunday 27th from 5pm, but if you can’t make it along to that one be sure to check their Twitter or Facebook pages for information on the next event! Be sure to pop in and say Happy First Birthday to the team at The Famous Royal Navy Volunteer on Saturday 9th August – they’ll no doubt be breaking out the bunting to celebrate, so you can join them in a beery toast before you head over to Ashton Court for the Balloon Fiesta. Around the corner on 14th August, Brewdog are doing a food and beer matching event for Bristol Beer Week; they’ll be pairing a selection of dark beers with some lush food from Source Food Hall in St Nicks, yum! 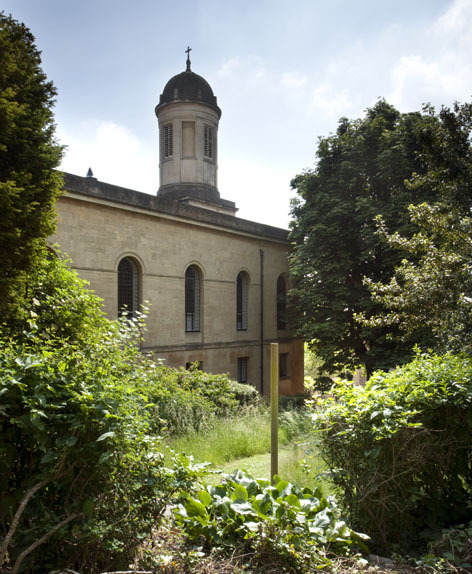 Enjoy a cocktail and some jazz in the gorgeous gardens of St George’s. The Rummer in St Nicks are doing a Steak & Lobster evening on Weds 20th, and will also be setting up a cocktail bar in the gardens of St George’s every Saturday in August for the venue’s Summer Series, so you can enjoy live jazz whilst sampling one of their fine concoctions! Finally, The Volunteer Tavern will be hosting a BBQ every Thursday throughout sunny August, with the welcome return of Food Theatre on 28th & 30th Aug – the menu is always very impressive so it’s worth keeping an eye to the website for more details nearer the time. 9th August – The Famous Royal Navy Volunteer‘s first birthday! 17th August – Charity gin tasting event at Chin! Chin! That’s it for August, I hope you’re enjoying the summer, and do let me know if I’ve missed any key events or if you manage to make it along to any of the ones I’ve mentioned! I may have missed it among all the great places in Bristol you mention, but have you seen the new Library wine bar just opened on Cheltenham Road very close to The Arches? Not been there yet, but the website looks good and I’m going to check it out very soon. I haven’t, but I’m very local to there so will have to check it out as soon as I get paid – thanks for the tip!